I figure it’s about time I start posting some recipes. You spoke, and I listened… I can’t count the number of times people have requested more recipes – well, here goes! 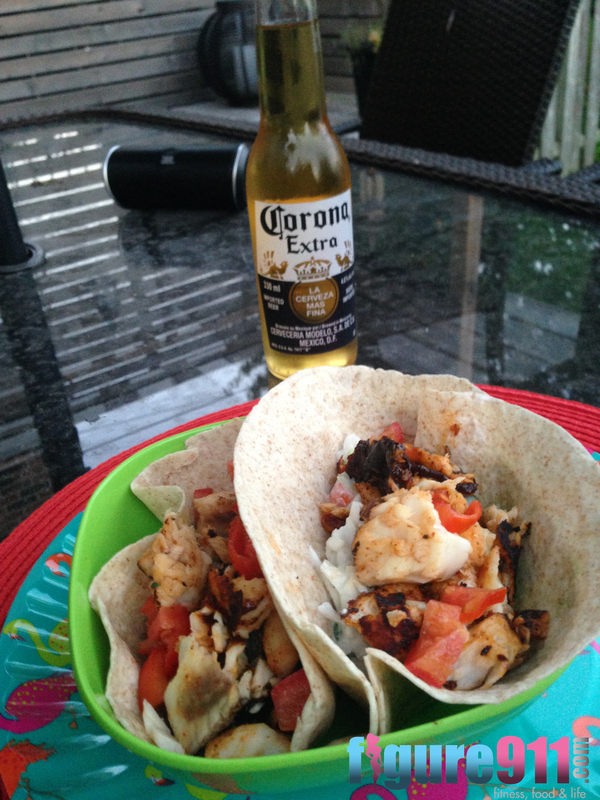 I decided to call these “Tilapia Tacos” instead of fish tacos. Saying “fish taco” always makes me giggle. Yes, I know, immature. When I was in Edmonton for the CBBF Nationals this year, the boy went on the hunt for some food and found a little Mexican restaurant not far from the Westin Edmonton hotel called Tres Carnales. He brought some fish tacos (he he he, I just can’t help myself) back to the hotel for me, which I devoured after pre-judging. In short: DELICIOUS! Probably the best tacos I’ve ever had. Last night, we attempted to recreate that day – the tacos, not the competition. 1 package taco shells (hard or soft) – if you can find authentic corn hard or soft taco shells, use those instead. 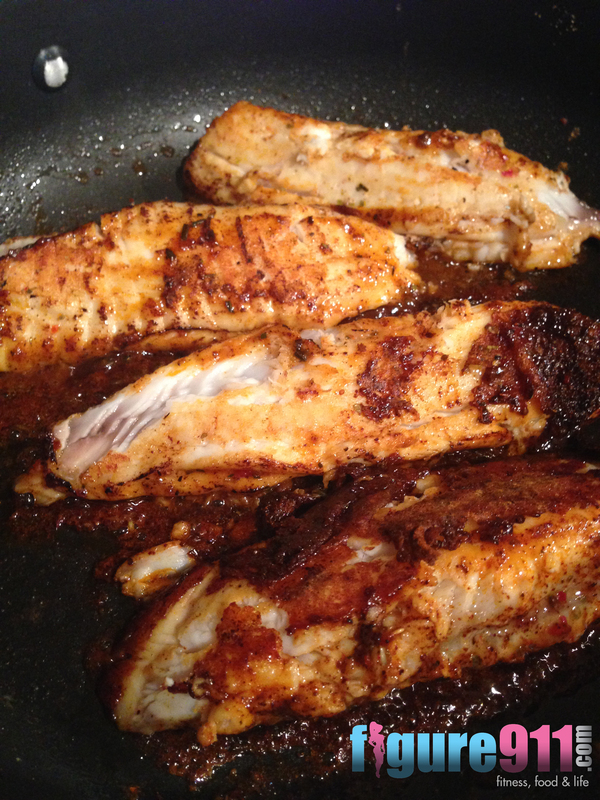 Season tilapia filets with taco seasoning. Heat oil in a 12-inch frying pan over medium-high heat. Place fish in the frying pan and cook until it flakes easily – about 4 minutes per side. I like to cook it really well so that the seasoning crisps up slightly. Remove from heat and cut into bite size pieces. You may find that the fish falls apart in the frying pan. That’s no problem, your work is already done for you! Heat taco shells in preheated oven until crisp, approx. 5 minutes. In a bowl, mix yogurt, lime juice, lime zest, and salt together. Stir in coleslaw mix, cilantro, and jalepeno. 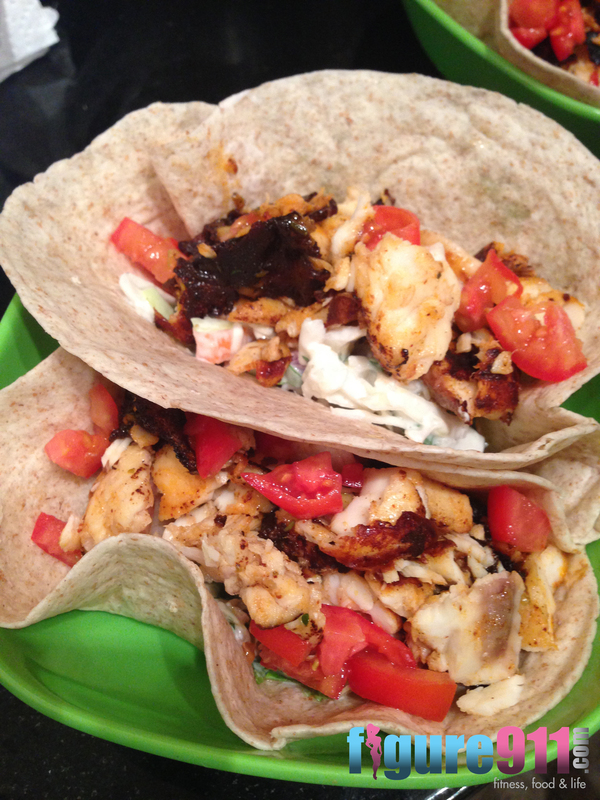 Spoon about 1/4 cup fish and 1/4 cup coleslaw mixture into each taco shell. Top with diced tomato. Just made this. Too. Damn. Good. 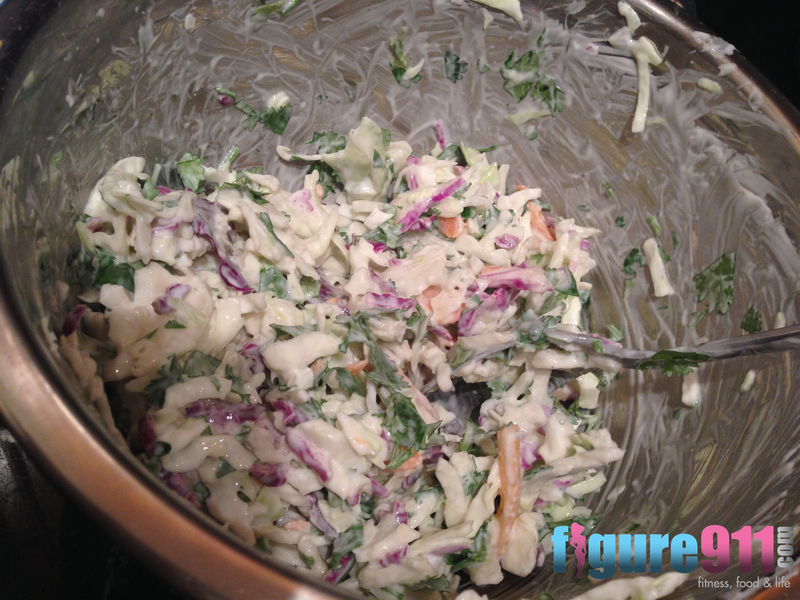 I won’t go back to plain coleslaw after trying your mix. I used cod instead and added homemade guac. I am trying really hard not to eat the rest. Well done! Well done to you! I love that you’ve made two of my recipes in less than a week!! – and definitely gotta have guacamole!!! That sh! ?’s good on everything!